I love Halloween, Fall, and all things Autumny. However, you can ask anyone who really knows me, and they will tell you that my weakness this time of year is Candy Corn. I can’t help myself. I will buy one bag, cause who doesn’t buy at least one bag. Then that first bag disappears…who knows where it goes. And then there is another bag purchased. Now, this has become worse since they have started releasing coupons for these honey sweet triangles. I have restrained myself the past 2 trips to the store and have not bought a bag….I promise! 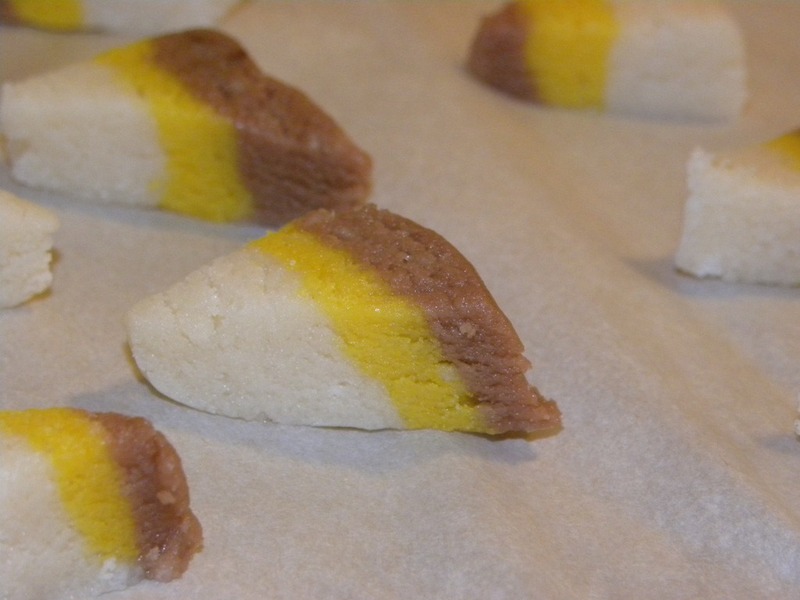 So since I have been good, I decided to do my ode to candy corn this week and make candy corn cookies. 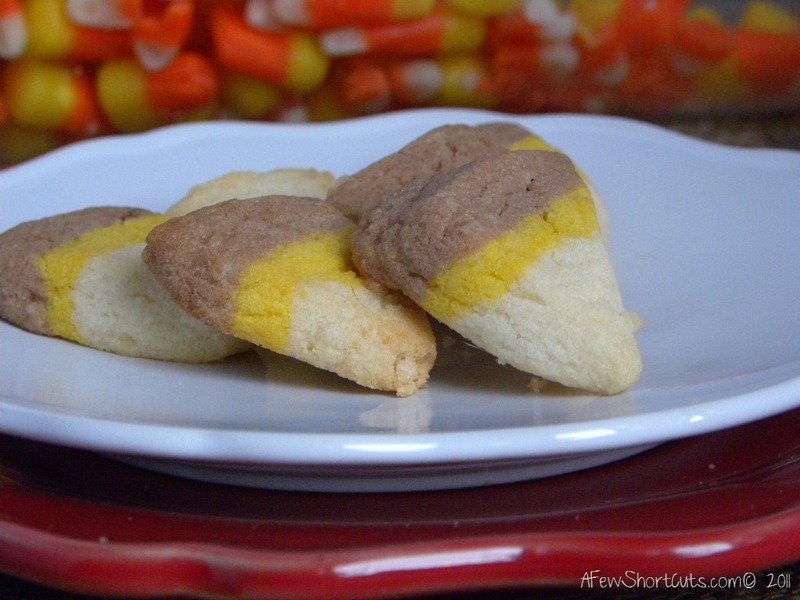 I typically make big cookies but these little candy corn cookies are a perfect snack size. If you just want a quick nibble of something sweet these will do the trick. Plus, they are so festive! Prepare the sugar cookie dough. 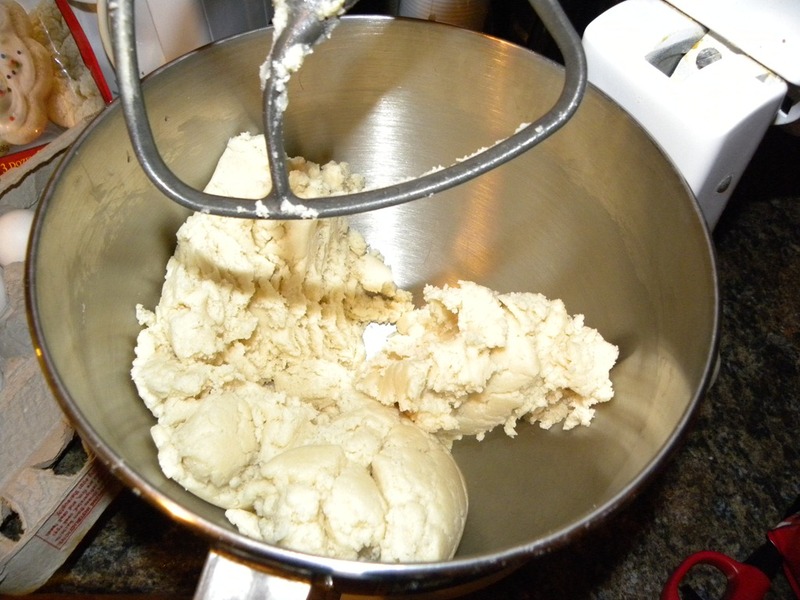 Divide the Sugar Cookie dough into 1/3. Leave the final third plain. Line a loaf pan with waxed paper. 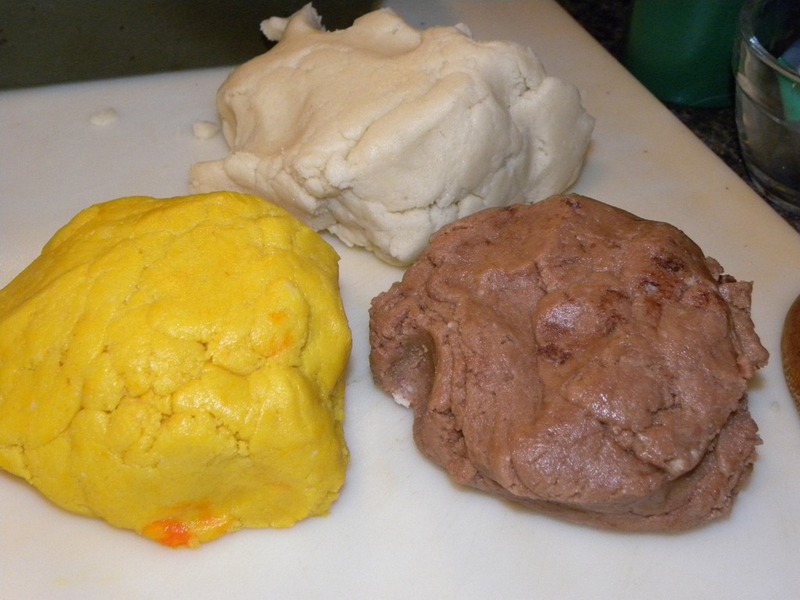 Begin to layer the cookie dough into the loaf pan by pressing in each color until it covers the bottom of the pan. Refrigerate for at least 2 hours. or if you are inpatient like me...freeze for 20 mins. 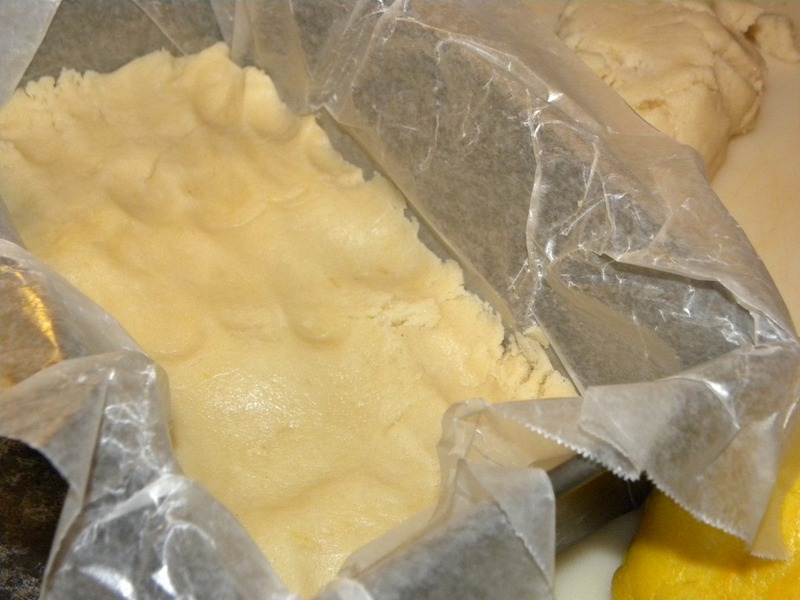 Remove dough from pan with waxed paper and slice into sections. 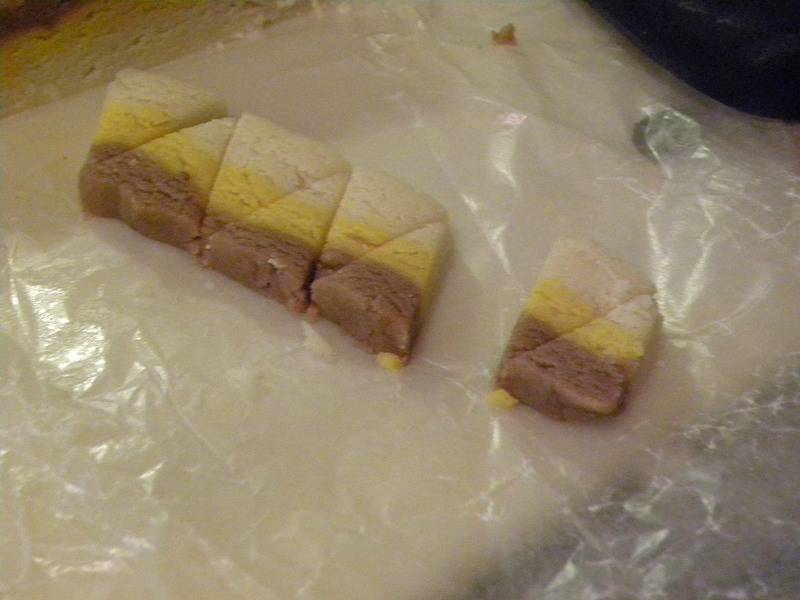 Then cut each section into triangles. Place on a parchment lined cookie sheet and bake for 8-10 minutes or until golden. I used Betty Crocker Sugar Cookie Pouches. I mixed following the directions. I mixed in the Cocoa Powder to 1/3 of the dough. And hand mixed in the yellow food coloring to the other 1/3. My kids ran off with the red. So I couldn’t make orange. 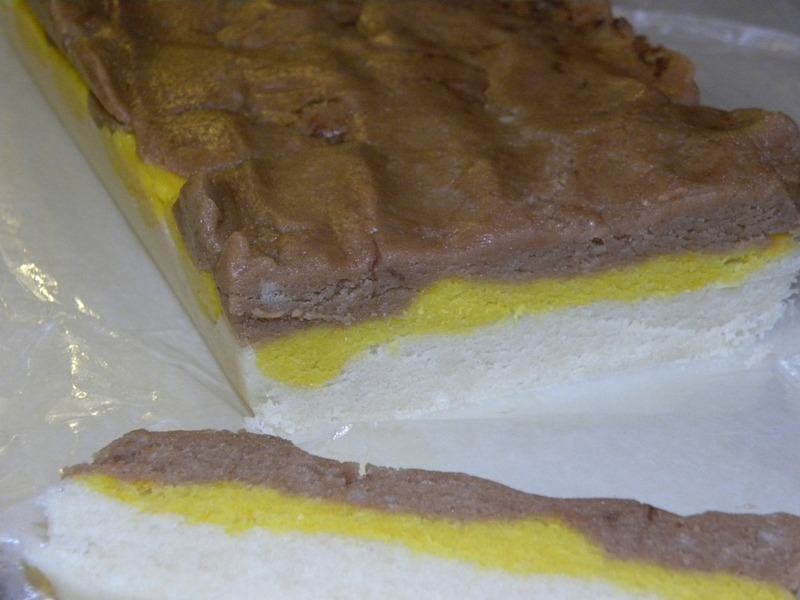 Layer the dough into a wax paper lined loaf pan. And refrigerate for atleast 2 hours. 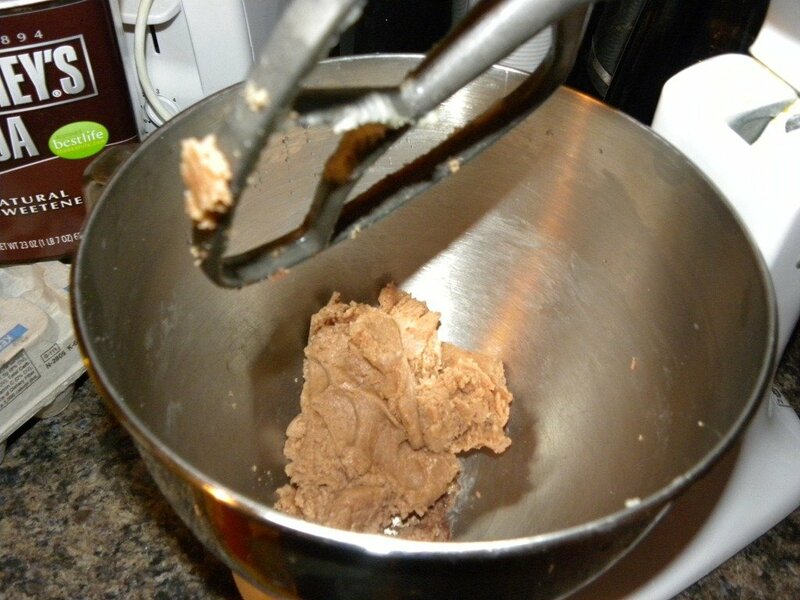 Remove dough from pan and slice into 1/4 inch thick slices. Place on parchment lined baking sheet and bake for 10 minutes. Serve or store in an airtight container! YUM!